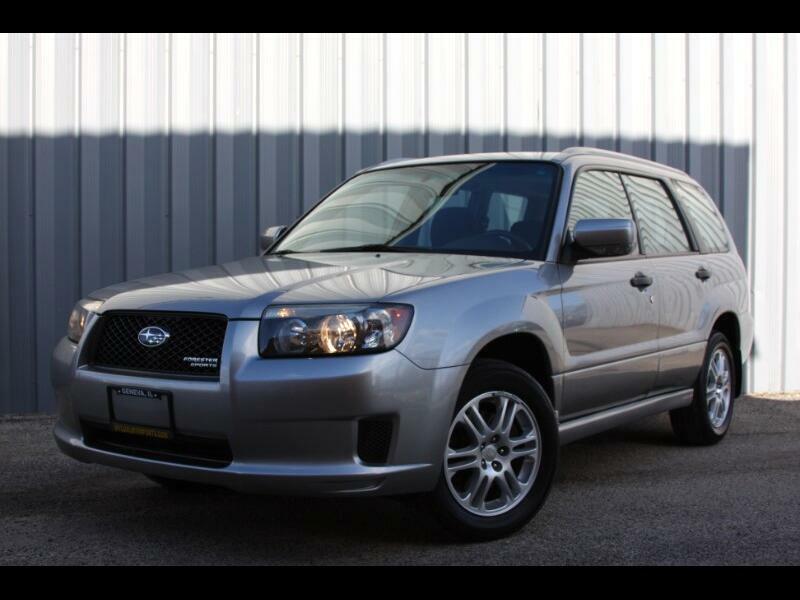 Used 2008 Subaru Forester Sports 2.5X for Sale in Geneva IL 60134 Luxury Imports Inc.
One owner car, only 70k original miles, local trade in on a New TESLA!!! Runs and drives great, shifts smooth, clutch is strong, good brakes and tires, super clean inside and out, very well maintained, Timing belt replaced @ 57k miles January 2017, accident free with clean carfax history report, just beautiful, must see!!! For more info, detailed photos or free carfax history report call 331-248-8175, text to 773-934-9599 or go to www.myluxuryimports.com 2 keys, books, window sticker and all season floor mats.